The Bild® multi-monitor mount easily accomodates four monitors side-by-side. Choose Silver or Vista Black and among three mounting options. 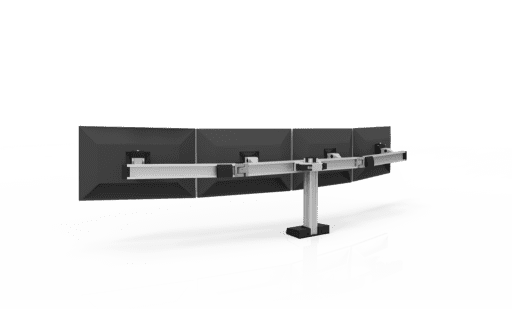 The Bild® quad monitor mount suspends four monitors side-by-side flat or angled in an arch in landscape or portrait orientation. 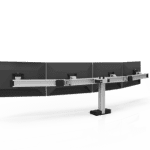 The Bild® quad monitor mount, like all the Bild® multi-monitor mount configurations, enables the user to build, adjust and adapt with ease for their specific application. 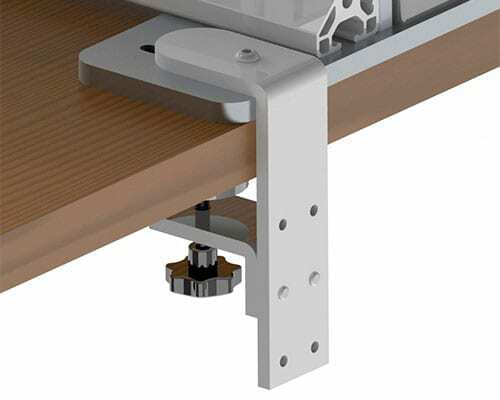 The Bild® quad monitor mount offers a sturdy construction with a clean design aesthetic. 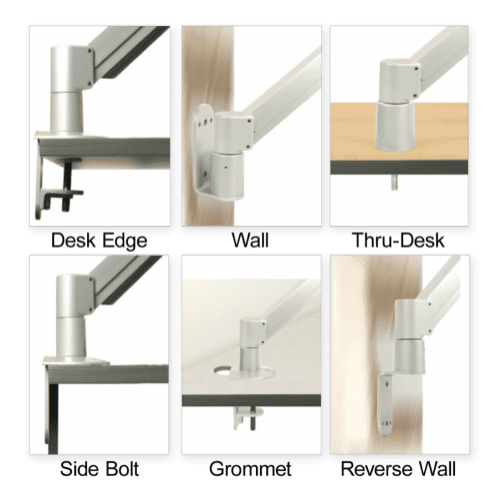 This height adjustable quad monitor mount features easy-to-adjust hinges for positioning monitors flat or in an arch. Monitor replacement is a snap with the Bild® quad monitor stand. 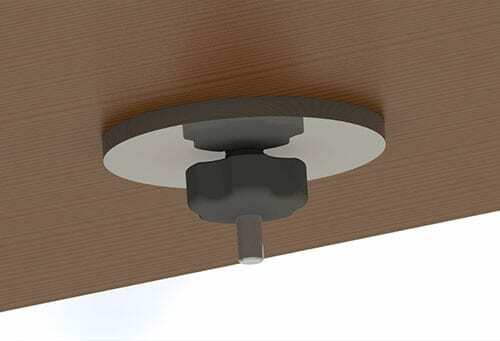 Simply attach, adjust, and remove all at the face of the beam. No need to slide monitors to remove. Monitors can be mounted in landscape or portrait orientation and tilted up to 200 degrees with pivot points that can be loosened and tightened to the desired rigidity using the tools included. Stored in the beam of the cap, they are never out of reach. The Bild® quad monitor mount clears your workspace of extra cables; cable clips in the column and beam keep cables organized and out of the way. 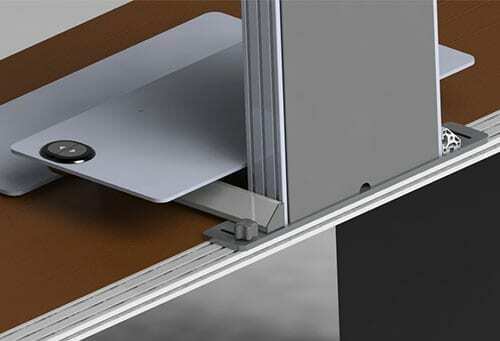 The Bild® quad monitor mount features several mounting options: desk clamp, thru-desk and rail. This multi-monitor mount is manufactured with 99% recyclable content. Bild® quad monitor mount is assembled in the USA.